We are back in the race, having rejoined the rest of the teams when they reached Berlin. The suspension and battery management problems are fixed. Unfortunately, our Swiss SIM card is not having much luck with the German mobile communications networks, so we have not seen any new photographs for a few days. Our next driver, Dickson, has gone ahead to Lithuania to look for a good mobile data plan. 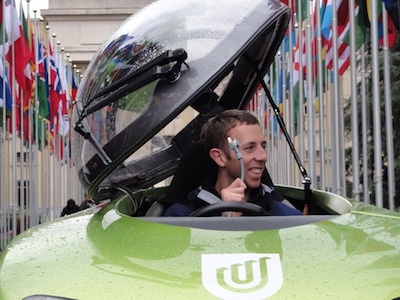 After months of preparations and a journey half way around the world, Trev joined other competitors to start Zero Race yesterday in Geneva at the Palais De Nations. After formalities including speeches by representatives from the United Nations Office in Geneva (UNOG), the United Nations Environment Program (UNEP) and Zero Race, the race commenced at 1:30pm. Trev has winged his way from Australia to Europe, and has just been successfully retrieved from customs in Zurich by our initial drivers, Nick and Jason. 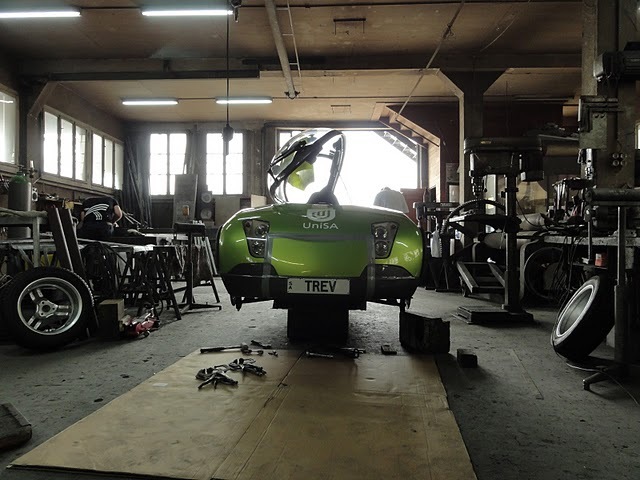 They’re taking Trev to a workshop in Lucerne for final preparations, ready for pre-race events on Sunday evening and for the official Zero Race start on Monday afternoon in Geneva. 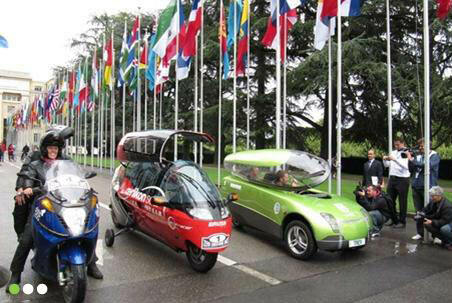 The pre-race event is a race up the Grimsel Pass to the top of the Swiss Alps, and is open to any electric vehicle (including the Zero Race entrants). The start of Zero Race will be quite spectacular – it will all take place at the UN’s Palais des Nations, overlooking Lake Geneva. The ceremony will be conducted near the rows of national flags and will involve the opening of the Pregny Gate – a very rare occurrence apparently. Expect some gorgeous photos in a few days’ time! Are you keen to follow Team Trev’s progress in Zero Race but don’t necessarily remember to visit our website regularly? An email subscription may be the solution. Just look down the right hand side of our home page to the Email Subscription heading. Enter your email address and click Sign me up! Then whenever we post a new blog entry, it will be delivered straight to your Inbox. Easy.